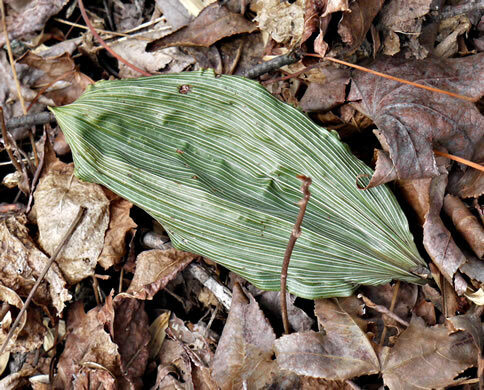 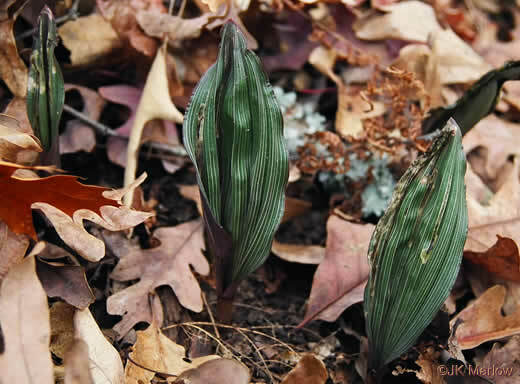 The leaf has the appearance of an unfolded accordion, per Wild Orchids of South Carolina: A Popular Natural History. 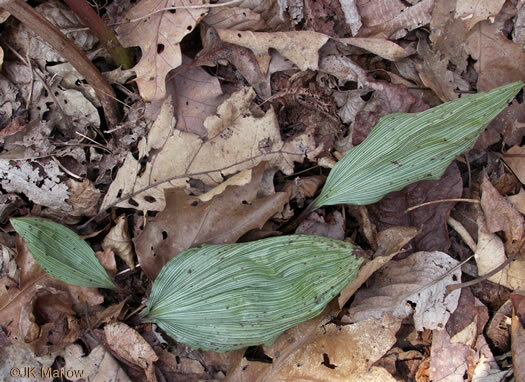 A solitary elliptic leaf to 6" long, with many narrow white ridges, per Wildflowers of the Southern Mountains. 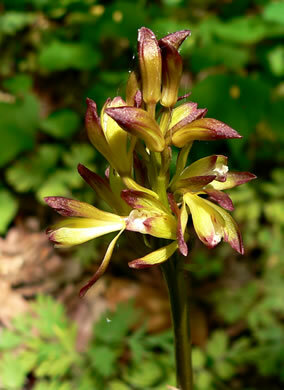 Flowers dull yellow or green with mahogany or purplish-brown tips, per Wild Orchids of South Carolina: A Popular Natural History. 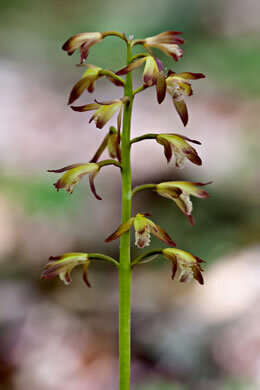 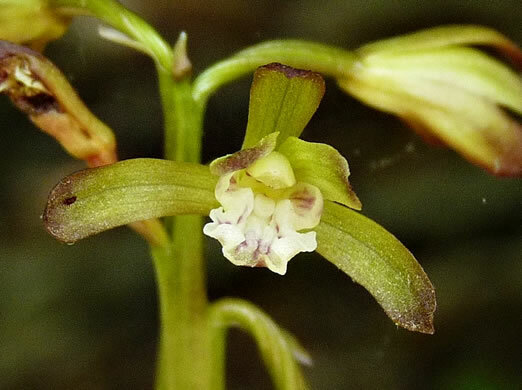 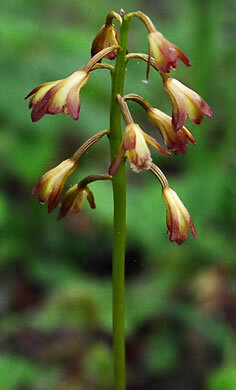 Each stalk may contain 10 to 24 one-inch flowers, per Wild Orchids of South Carolina: A Popular Natural History. 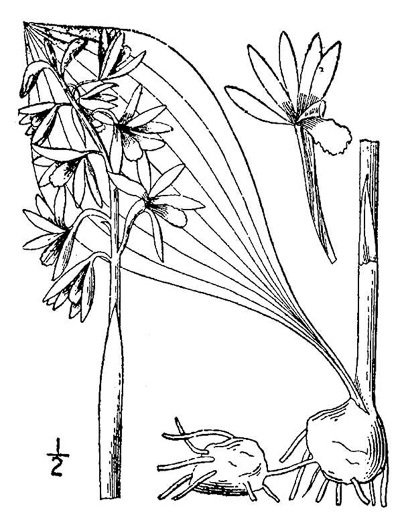 Like Tipularia, its single, overwintering leaf withers before flowers appear, per Weakley's Flora.